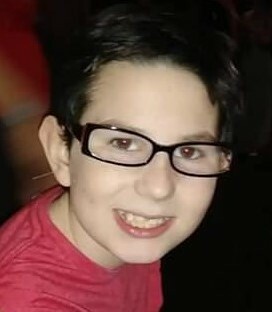 Mr. Kayden Dwain Todd Sweek, age 11, passed away at his home in his mother’s arms on Saturday, January 12, 2019. Kayden was born in New Mexico on February 3, 2007. He has been known by many for his amazing strength and perseverance he has continued to show despite his circumstances. He fought against VWM (Vanishing White Matter Disease) Leukodystrophy since he was diagnosed at the age of 3. His smile was contagious and his laugh infectious. Kayden is survived by his mother, Brandi Lynn Sweek of Raeford, NC; his father Kevin Dwain Sweek of Aztec, NM. a sister Kamea Sweek of Raeford, NC; a brother Joshua Burningham of Aztec, NM; His paternal, Grandparent, Kent and Kathy Sweek of Kirtland, NM; his maternal grandparent, Dawn Olson of Aztec, NM. A Celebration of Life service will start 4:00 pm Saturday, January 19 with a procession from SunPath Products, 404 W. Edinborough Ave., Raeford, NC to PK’s Grill and Pub 155 Airport Road, Raeford. In lieu of flowers, please donate to the GoFundMe page https://www.gofundme.com/kayden-sweek-funeral-expense-fund. Donations will also be accepted at the Celebration of Life at PK’s Grill and Pub to help the family with travel expenses and final arrangements.